My hand is sufficiently healed now for me to return to throwing on the potters wheel. My finger is still numb at the end, but otherwise I’m all OK and I feel that I can throw again OK. That’s my opinion, others watching me might differ. I’ve never been a ‘power thrower’ or aspired to be a virtuoso on the wheel. I am sufficiently capable and skilled to be able to make the ideas that are in my head come to life. I’ve done my several thousands of hours of practise over the past 48 years, so I’m OK with what I attempt to do. It’s a funny feeling, starting wedging again after a month off. It’s like a ‘getting to know you’ all over again, kind of feeling. I can’t wait to get back into it now that we have done our last wood firing weekend workshop. We can have our kiln back now and start to plan for our own firings. 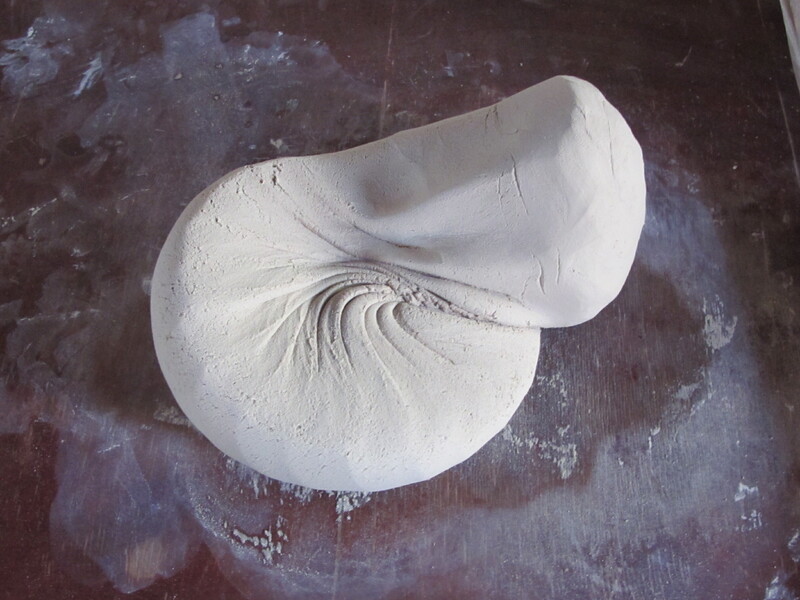 Wedging up the clay and making these first pots is the start. I used to think that I could do both. Run these workshops and make a few pots as well. Last year we managed to sneak a firing of our own in, in-between the set firings with the workshop groups. However, it seems to take all our energy to just clean and maintain the kiln as well as cut, split and stack all the wood required for the firings, plus keeping part of the pottery set up as a kitchen. There isn’t any time left to be able to pack, fire and unpack the kiln with our own work in the 5 days in-between each of the other firings, as well as cutting and splitting our own wood for our firing as well. It all proved too much work for me and I just couldn’t manage to do it all. We have done 11 weekends in 13 weeks. I’m glad that we can have some space to make and fire our own work now. On a brighter note there was an exhibition review of the ‘Turn, turn, turn’ exhibition at the NAS Gallery in Sydney. One of the six shows that I have work in currently. It is amazing that an exhibition of ceramics has been given any space at all in a major Sydney newspaper. It is even more amazing that the reviewer, Christopher Allen was given almost two pages to do the job. I can’t remember a ceramics show getting any oxygen at all in a major newspaper in Sydney for the past twenty years, so I was particularly thrilled to find that my own work got two paragraphs at the end of the review. I don’t know how this has all come about, but I appreciate it enormously, as it will most likely be the only time in my life that this will happen, as ceramics isn’t highly valued in critical circles in Australia. It’s amazing to me that when it happened, I was part of it. “…Steve Harrison represents the culmination of the art of the potter in the East Asian traditions. His deceptively simple and yet refined and serene vessels are the product of the humble, meditative practice of the potters art and reflect, indeed his own choice of a life in harmony with his aesthetic ideals. Christopher Allen, ‘Wheels of Creation’, Weekend Australian, Review, Visual Arts, P10/11. July 11/12 2015. This entry was posted in exhibitions, In the pottery, kiln firing and tagged Christopher Allen by hotnsticky. Bookmark the permalink.